Scales / Scale Labels / Coin Counters There are 15 products. Avery Berkel blank weighing scale labels measure 49mm x 74mm, they are compatible with a wide range of Avery Berkel Scales with 500 labels per roll on a 38mm core. Total pack size 12 rolls / 6,000 labels. Avery Berkel blank weighing scale labels measure 49mm x 74mm, they are compatible with a wide range of Avery Berkel Scales with 500 labels per roll on a 38mm core. Total pack size 20 rolls / 10,000 labels. Avery Berkel blank weighing scale labels measure 49mm x 74mm, they are compatible with a wide range of Avery Berkel Scales with 500 labels per roll on a 38mm core. Total pack size 36 rolls / 18,000 labels. Avery Berkel Format 1 weighing scale labels measure 49mm x 74mm, they are compatible with a wide range of Avery Berkel Scales with 500 labels per roll on a 38mm core. Total pack size 12 rolls / 6,000 labels. 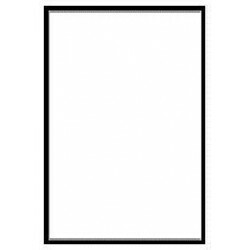 Avery Berkel Format 1 weighing scale labels measure 49mm x 74mm, they are compatible with a wide range of Avery Berkel Scales with 500 labels per roll on a 38mm core. Total pack size 20 rolls / 10,000 labels. Avery Berkel Format 1 weighing scale labels measure 49mm x 74mm, they are compatible with a wide range of Avery Berkel Scales with 500 labels per roll on a 38mm core. Total pack size 36 rolls / 18,000 labels. This listing is for brand new CAS scale labels. The labels measure 58mm x 40mm and come in a box of 12 rolls. Each roll has 750 labels on them which is a total of 9,000 labels. Next working day delivery via Interlink Couriers and a VAT invoice will be enclosed with your order. This listing is for brand new CAS scale labels. The labels measure 58mm x 40mm and come in a box of 20 rolls. Each roll has 750 labels on them which is a total of 15,000 labels. Next working day delivery via Interlink Couriers and a VAT invoice will be enclosed with your order. This listing is for brand new CAS scale labels. The labels measure 58mm x 40mm and come in a box of 40 rolls. Each roll has 750 labels on them which is a total of 30,000 labels. Next working day delivery via Interlink Couriers and a VAT invoice will be enclosed with your order. This listing is for brand new CAS scale labels. 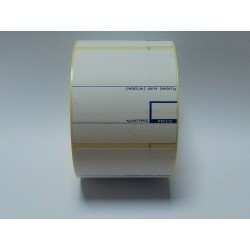 The labels measure 58mm x 60mm and come in a box of 12 rolls. Each roll has 500 labels on them which is a total of 6,000 labels. Next working day delivery via Interlink Couriers and a VAT invoice will be enclosed with your order. This listing is for brand new CAS scale labels. The labels measure 58mm x 60mm and come in a box of 20 rolls. Each roll has 500 labels on them which is a total of 10,000 labels. Next working day delivery via Interlink Couriers and a VAT invoice will be enclosed with your order. 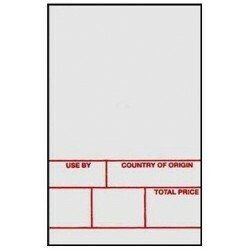 This listing is for brand new CAS scale labels. 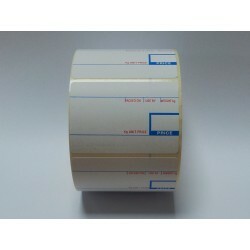 The labels measure 58mm x 60mm and come in a box of 40 rolls. Each roll has 500 labels on them which is a total of 20,000 labels. Next working day delivery via Interlink Couriers and a VAT invoice will be enclosed with your order.